Let Lythwood Make Your Dream Wedding Come True – the Destination for your Dream Wedding! 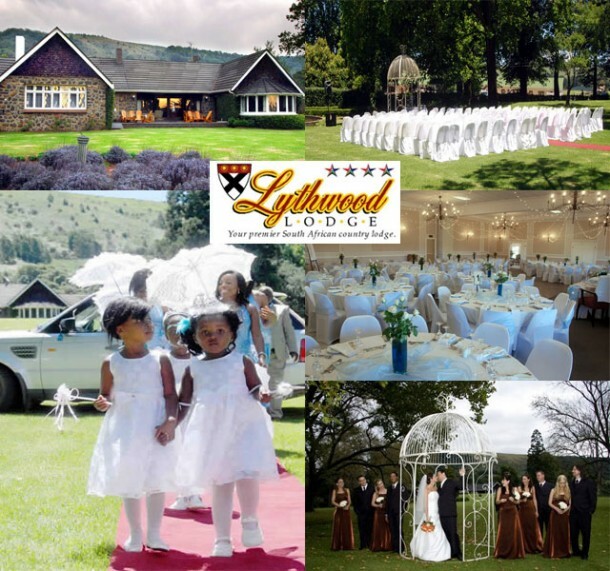 Lythwood Lodge is located in Lidgetton within a 4½ hours drive from Johannesburg and only 1¼ hours drive from Durban. The perfect idyllic getaway and one which you can share with your friends staying over in one of our 32 rooms. Our bedrooms are of the very highest standard, all have en-suite bathrooms, one of which one is wheel-chair friendly. Each room is individually furnished with carefully selected mahogany furniture and decorated with artwork by local artists. A very compelling reason to make a weekend of your wedding! 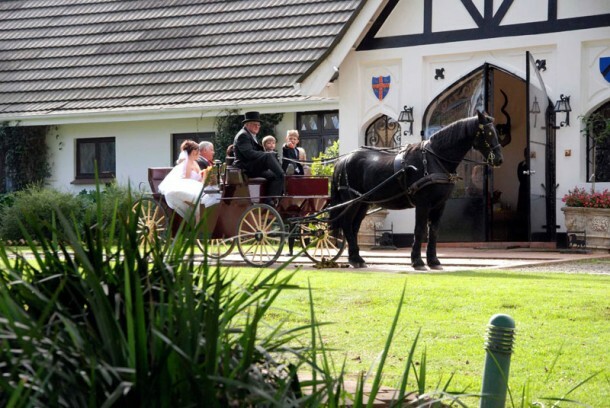 Lythwood Lodge nestles in the hills of the mystical Natal Midlands providing the perfect setting for your wedding. Is situated on a 275-acre estate, bordered by the Lion’s River and Natural Forest in the form of an amphitheatre. We strive to provide a level of service that will leave truly romantic and happy, long lasting memories by you and your friends. The beautifully decorated venue is perfect for both day and night functions. Allow the friendly and well trained staff to indulge you and your guests with our superb service. And above all – affordability! The sanctification of the marriage can be undertaken at Lythwood in our unique chapel that has been converted from an old dairy. Seating inside is restricted to 125 but on the concrete apron outside a further 100 or so can be seated. Its rustic character adds a certain charm which hallows the occasion. Most Christian denominations accept the venue but you should check with your minister of choice beforehand. Use of the chapel is available upon confirming our reception venue at no additional cost. You have tied the knot and now it is time to celebrate! Let us help make this a very special day for you … The beautifully decorated venue is perfect for both day and night weddings and can seat up to 250 guests inside and a further 90 on the covered patio (340 in total). It has that special allure and does not require any draping; consequently you can avoid unnecessary further expense. We will only be too pleased to discuss your table decor requirements. All our table linen, crockery, cutlery and glasses are up-market and together with our padded seats and white chair covers, present an amazing “wow” factor. Allow our friendly and well trained staff to indulge you and your guests with our superb service. Limited bar – You stipulate a monetary limit and select the items to be sold. E.g. Beer/ Wine only. Thereafter cash bar. Full Bar – Variable monetary limit and all requested items available to your guests. Cash Bar – We offer a comprehensive wedding wine list which reflects wines that are relatively inexpensive but are of a standard and quality that will be respected by a wine connoisseur. In addition the hotel has a wine list that has earned a Platinum Award from Diners Club. Should guests wish to bring their own wine there is a corkage fee of R45 (2011) per 750ml and R80 (2011) per 1500ml bottle. Let the bride and her father arrive in style by helicopter or by horse and carriage. Enquire with us and we can make the necessary arrangements and quote as required. If you are interested in having your wedding at Lythwood Lodge see Lythwood Lodge for more info or to send an enquiry.